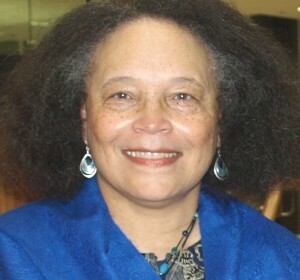 Dr. Faye V. Harrison, Professor of Anthropology at the University of Florida, was the first recipient of the Zora Neale Hurston Award. Dr. Harrison accepted the award at the 2007 SAS Annual Meeting held in Oxford, Mississippi. Faye V. Harrison is a social/political anthropologist who specializes in the study of social inequalities and the politics that emerge in response to them. She received her B.A. from Brown University (1974) and her M.A. (1977) and Ph.D. (1982) from Stanford University. A former Lindsay Young Professor at the University of Tennessee-Knoxville, she is currently Professor of African American Studies and Anthropology at the University of Florida-Gainesville. For more than 20 years, she has sought to balance her commitment to educating students; rendering service to her university and professional communities as well as to the wider public; and producing original research and critical scholarship. Her research addresses the social and economic disparities of race, gender, and class, and the ways in which they interact and operate simultaneously in everyday life. She has written on the underground economy and political violence in Jamaica; the impact of the International Monetary Fund's structural adjustment program on everyday life in an impoverished Jamaican slum; and the effects of the Special Period and the US Embargo on Afro-Cubans; and the politics of racial, gender, and class diversity in higher education and tin the history of anthropology. She has done extensive field research in the U.S., the U.K., and the Caribbean. Her research interests and professional activities have also taken her to many other parts of the world, including Cuba, Denmark, Mexico, South Africa, India, and China. Her current research examines modes of political activism that approach racism and sexism as human rights violations outlawed by international law. She is especially interested in understanding the transnational alliances that activists are building in this effort. She has published extensively in journals and anthologies. She is the editor of seven books, including Decolonizing Anthropology (1991, 1997), Contemporary Issues Forum: Race and Racism (1998), African-American Pioneers in Anthropology (1999), and Resisting Racism and Xenophobia: Global Perspectives on Race, Gender, and Human Rights (2005). She is currently completing From the Outside Within: Reworking Anthropology as a Labor of Love in which she offers her own vision of what it will take to reinvent anthropology for a truly post-colonial mode of social analysis and praxis. She has been active in her profession at both the national and international levels. Since 1993, she has chaired the International Union of Anthropological and Ethnological Sciences' Commission on the Anthropology of Women, and she currently serves on the IUAES Executive Committee. She is also past president of the Association of Black Anthropologists, and she served two terms on the Executive Committee (1990-91, 1999-01) of the American Anthropological Association (AAA). She serves the national association again in 2007 as she is this year's Executive Program Chair for AAA's Annual Meeting to be held in Washington, D.C. in November. She is a member of the key advisory group for the AAA's "Understanding Race" public education initiative, which is, among other things, organizing a major museum exhibit that travels across the country. She has been the recipient of several honors acknowledging her accomplishments in teaching, academic citizenship, the promotion of cultural diversity, and scholarship. In 2004, she received the Society for the Anthropology of North America's (SANA) Prize for Distinguished Contributions to the Critical Study of North America. It is with great honor that the Southern Anthropological Society bestowed Faye with the 2007 Zora Neale Hurston Award. This award goes to a Southern Anthropologist who emulates the legacy of Zora Neale Hurston by mentoring, engaging in service, & scholarship using anthropological tools for critically engaging & negotiating cultural diversity in ethically and socially responsible ways. In Faye's words, "I myself think that something can be said for valuing a balanced career as anthropologist scholar and citizen."